The shipping industry is rapidly reaching a point of no return: Emission limits and, in the more distant future, complete decarbonization will change ship operation dramatically. The question is: How should container ships be built today? The Paris Agreement aims to limit global warming caused by greenhouse gas (GHG) emissions to less than two degrees. For the shipping industry, the IMO’s greenhouse gas strategy (MEPC.304(72)) has set three targets: to reduce CO2 emissions per transport work by at least 40 per cent by the year 2030 compared to 2008 levels, pursuing efforts towards 70 per cent by 2050, and to eliminate GHG emissions from shipping entirely before the end of this century. These goals promise to be game changers for the transport industry. Climate change is a reality and must be curbed to prevent severe consequences for mankind and nature. Before, these long-term goals become a pressing issue, the 2020 sulphur cap requires immediate attention; it will be followed by nitrous oxide (NOX) and particulate matter emission restrictions, at least in speciﬁc areas. The traditional way of propelling ships with low-cost fossil fuels will soon be history. Land-based energy consumers can replace fossil fuels with renewable energy sources such as wind and solar power quite easily. For aviation and shipping, however, the situation is much more difﬁcult: both modes of transport must carry an appropriate energy supply on each voyage. This severely limits the options available to them. There is currently no alternative to the combustion principle to generate the massive thrust needed to propel a large aeroplane or ship. For a transitional period of one or two decades as the world inches towards decarbonization – or rather, carbon-neutral renewable fuels – there is no way around fossil fuels as a main energy source on board, speciﬁcally for deep sea shipping. For owners ordering newbuilds today it is essential to plan for the strictest emission limits foreseeable, considering the operating life of a typical container vessel of roughly two decades. Choosing the right fuel and propulsion technology means ensuring that today’s newbuilds will be marketable for their entire lifespan. Future emission legislation is unlikely to include any grandfathering clauses for non-compliant legacy tonnage. There are several factors to consider when making this choice, whether today or at some time in the future. The 0.5 per cent sulphur cap taking effect in 2020 will increase the average fuel costs. 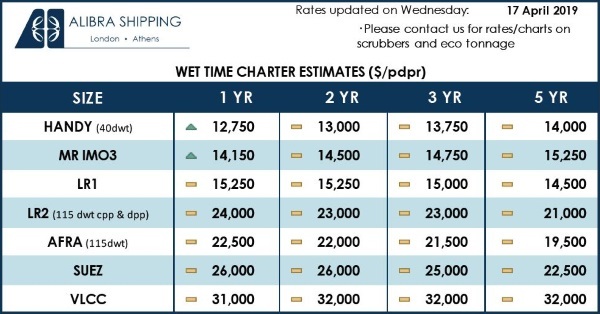 Shipowners relying on HFO and scrubbers should bear this in mind – and the fact that open-loop scrubbers are hotly debated and may be banned at least in environmentally sensitive regions at some point. Closed-loop scrubbers, on the other hand, are subject to complex waste disposal requirements. Furthermore, the IMO NOX Tier III limits, in effect for newbuilds in North American Emission Control Areas (ECAs) since 2016, and taking effect in the North Sea and Baltic Sea ECAs from 2021, require additional after treatment of diesel engine exhaust gases by selective catalytic reduction (SCR) systems or exhaust gas recirculation (EGR) on most engine types. For newbuilding projects, the costs of installing and operating all this pollution mitigation technology are, or will soon be, in the same range as the cost associated with the use of alternative fuels and propulsion systems. In addition, further regulation could be implement, like limits for particulate matter (‘black carbon’) emissions which will further increase the costs of using conventional fuels. The most difﬁcult aspect, however, is CO2. The IMO greenhouse gas strategy essentially requires a container ship ordered today to cut CO2 emissions during its lifetime by 40 per cent compared to a similar vessel operated in 2008. Great strides have been made in energy efﬁciency enhancements and emission reduction technologies in recent years, from hull and propeller optimization, high-efﬁciency ship engines, air lubrication and friction-reducing hull coatings to slow steaming and route optimization. All these technologies have made signiﬁcant contributions to reducing both the emission proﬁles and the OPEX of container vessels. Emerging technologies such as system optimization with battery-assisted on-board power grids and new propulsion technology as outlined in the PERFECt ship project offer additional opportunities to further limit the CO2 footprint. Selecting the best combination of these measures with a suitable fuel strategy can help the industry reach the 40 per cent CO2 emission reduction goal the IMO envisions for 2030. It should be mentioned in this context that the challenge is somewhat greater for container ships than for other similarly sized vessels because container ships are typically ﬁtted with more powerful main engines with higher emission volumes. Taken together, all these considerations make liqueﬁed natural gas (LNG), without doubt the cleanest fossil fuel, look increasingly attractive in view of present and future emission restrictions in general, and the 40 per cent GHG reduction target for 2030 in particular. LNG produces the lowest tank-to-propeller CO2 emissions of all fossil fuels and is already cheaper per kilowatt hour (kW/h) than HFO. 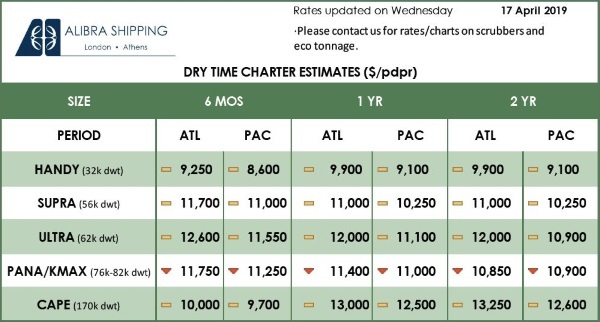 With the supply chain gradually improving and the market volume increasing, LNG prices are likely to drop further. The emission proﬁle of LNG beats all other fossil fuels across the four emission groups (SOX, NOX, particulate matter and CO2). German owners opting for LNG might beneﬁt from government subsidies which are currently being offered. There are various combustion technologies available for LNG. The diesel principle is efﬁcient but requires exhaust gas after-treatment to meet Tier III NOX limits. The Otto four-stroke combustion principle, while slightly less efﬁcient, will comply with current environmental standards without exhaust gas after treatment. Turbine technology is still met with scepticism by the industry because of less-than-satisfactory past experiences. However, advanced COGES implementations are very efﬁcient, free of methane slip, and feature low emission values. Turbines deﬁnitely deserve to be reconsidered. DNV GL and various industry partners have performed in-depth studies of COGES ship propulsion technology, with positive results. But even without turbine technology, the efﬁciency of a reciprocating engine can be increased substantially by installing waste-heat recovery (WHR) systems, which offer a number of beneﬁts on LNG-burning engines, such as reducing the load demand on the auxiliary engines. A well-designed WHR system can recover ﬁve to ten per cent of the mechanical power of an engine. DNV GL stands ready to advise customers on proper WHR system design. State-of-the-art membrane tanks make the best use of the available space and are safe and highly resilient, thanks to the creased wall structure. But there is a downside of sorts even to LNG: its volumetric dens ity is signiﬁcantly lower than that of diesel, which means that nearly twice the tank volume is needed to achieve the same endurance for a vessel. However, this effect can be compensated at least in part through an optimized system with ﬂexibility in the arrangement. 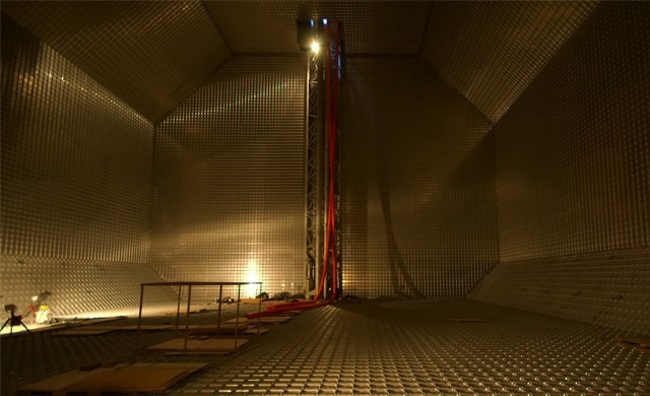 The DNV GL PERFECt study investigated this in detail, showing that a smart machinery arrangement can allow the container intake to be increased. Furthermore, as the global LNG bunkering infrastructure improves, containerships may be able to avoid sacriﬁcing container slots in favour of LNG fuel tanks by simply refuelling a bit more often. The optimum tank size should be determined based on the intended trading pattern and bunkering frequency. It should be noted that while the volumetric energy density of LNG is lower compared to conventional fuels, requiring almost twice the tank volume for the same endurance of the ship, its gravimetric energy density is higher, meaning that more payload can be transported. While nobody can safely forecast future fuel prices, the laws of supply and demand continue to apply, and LNG is not an exception, considering the enormous reservoirs still waiting to be tapped. LNG, especially when combined with other state-of-the-art efﬁciency enhancements, is more attractive than ever as the safest bet for the next generation of container ships – it meets all emission limits relevant for the current generation of ships, its availability is improving rapidly as more bunkering vessels are deployed, and the return on investments in LNG propulsion technology is accelerating and will continue to do so as the technology enters the mainstream. It avoids or at least reduces the complexities of exhaust gas after treatment systems, can be carried on board safely, and will be a competitive advantage for companies whose reputation, at least in part, depends on their environmental footprint. Once the production of synthetic fuels using renewable energy — usually referred to as ‘Power to Fuel’ (PtoF) and ‘Power to Gas’ (PtoG) technology — reaches an appropriate scale and economic feasibility, LNG-powered ships and their bunkering infrastructure will be fully compatible without requiring any technical modiﬁcations. The IMO’s IGF Code provides clear technical guidance, and DNV GL has all the experience and knowledge to assist in its implementation.